You may be under the impression that it takes some serious technology to create those flawless images we see from some brands on Instagram. Well, you might be surprised to learn that there are several steps you can take to create professional looking photos with your phone camera! Phone photography is actually capable of some great things. It’s not all about what you have – but what you do with it. The great thing about phones, is that they’re portable. This presents us with so many more opportunities to capture Instagram worthy content. Learning how to take great photos using you phone is the best way to stand out and build a strong presence on Instagram. It’s really important to understand how to use light in order to capture great photos using only your phone camera. Natural light can create bright and beautiful photos (and it won’t cost you a penny!). In fact, avoid using your flash as much as you can. It can wash your subject out and offers no depth to the image. If you’re unable to go outside, use ambient lighting or natural light from windows to your advantage. It’s not the end of the world if you don’t have great light – you can always brighten up a photo using editing tools or the ‘edit’ button on the top right on your phone screen. Whilst lighting can work really well to create a great image, if it’s too bright your photo can appear overexposed. Whilst there are tools that can brighten up a photo that is too dark, nothing can be done to fix a photo that’s overexposed. There are steps you can take however, to ensure that your photo isn’t overexposed. You can adjust the lighting on your screen – simply slide your finger up or down to adjust the exposure or you can tap your finger on the brightest part of the frame to adjust the lighting before taking the photo. The elements that make up your image i.e. the shapes, colours and textures are known as the composition. In order to achieve a beautiful Instagram photo with your phone camera, you need to consider how to balance your image. There are steps you can take to achieve a well-balanced image, the most popular includes dividing your image into a 3 x 3 grid. This aligns the subjects or objects of your image along visible grid lines. In order to do this, turn on the gridlines for your phone camera in ‘settings’, so you can easily practice aligning your photos. 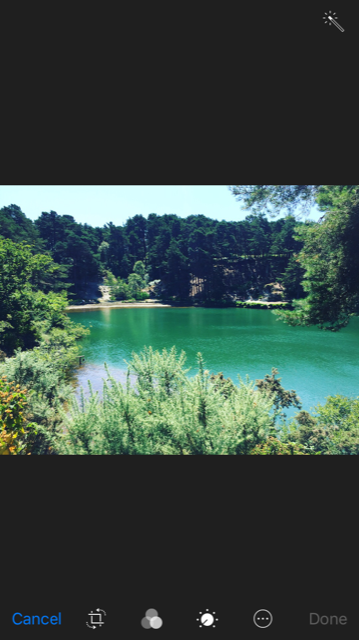 Another great looking Instagram photo comes when the subject of the image is off-centre. However, you should always aim to create ‘balanced asymmetry’ and this can be created by balancing the off-centre subject out by another image. Take a look at the image below for further explanation. In this case, the flowers are arranged in the lower-right area of the photo and are balanced by the sun in the top-left corner. It’s important to think about different perspectives when trying to engage your Instagram audience with your images. Most photos are taken around eye level, and this makes sense as we’re often trying to capture what we’re seeing for ourselves. However, in order to create a really great Instagram shot, try thinking about different perspectives. An image from a different view point can provide interesting, unexpected shots. Most of the time, we don’t fully engage with what we’re trying to capture but you might well find that the subject or object of your image has a lot more to offer from different angles. Try shooting from above or below. This is easy to do – just crouch down or stand on something (safely) to alter the perspective of the image. Some really great Instagram photos aren’t always even in focus. Your audience will appreciate a ‘candid’ shot of a real-life situation. Not only does it give your audience something they can relate to, but it can also create an artistic, edgy touch. Capturing your subject in motion can be difficult, but this makes it even more impressive! In order to do this well, it’s advisable to take multiple shots so that you can then choose the best one. Using your phone’s ‘burst mode’ means you can hold down your camera button and capture 10 photos per second, increasing the likelihood of a great photo you can use. It’s widely accepted that an Instagram photo is made better if it includes a cute animal or food. If you have an adorable pet, or access to one, then definitely try and use them! Working with animals can be tricky, they won’t automatically do exactly what you want them to, but you’re more likely to get them to if they are incentivised! Get some treats at the ready for them and prepare to be patient. If you don’t have access to a suitable animal, don’t worry, food images work just as well. Instagram users can’t get enough of food photography. For a great food shot try and capture the image from above, be sure to take advantage of photogenic backgrounds, and aim to use natural light. 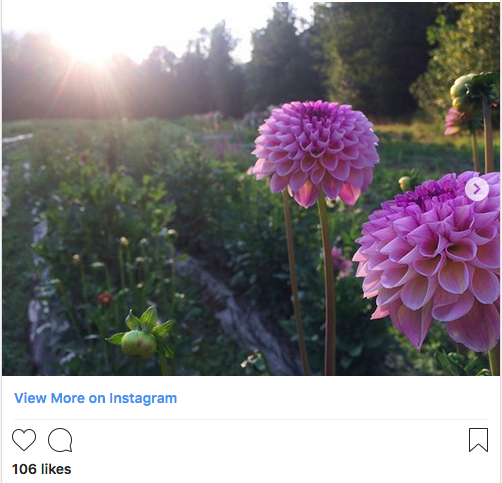 The 5 tips above should ensure you get some great photos for Instagram use, however, if you’re not great with your phone camera, don’t worry. There are plenty of photo editing tools available to help you. The ones on your phone camera can work really well, but if you’re looking for more professional looking images then you should consider using tools like PicMonkey, Photoshop or, our favourite…Canva. Canva even has a library of amazing stock images that you could use if worse comes to worst! If you’d like some more advice or help with your Instagram content, feel free to get in touch.